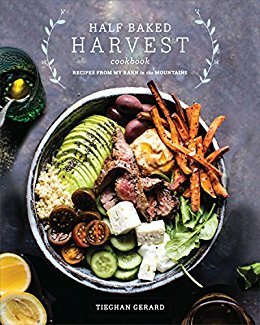 This week's Book Giveaway is a little unusual: we're giving away Tieghan Gerard's new cookbook, Half Baked Harvest. But even if you're not the huge fan of Gerard's pretty, pretty website that we are, might we recommend her cookbook as an excellent coffee table option? There's something so soothing about staring at pictures of beautifully-presented food, and this book has 'em in spades. A full review will follow shortly.